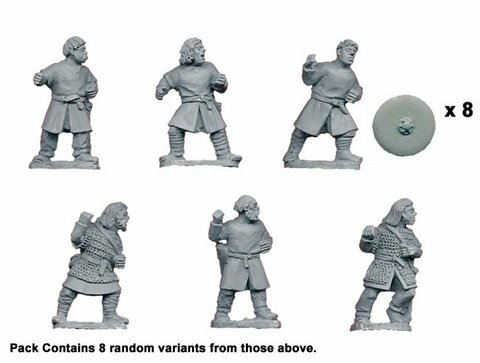 Bareheaded Saxon Warriors with Spears (8) 8 figures per pack. Supplied without spears. 28mm sized figures, made of metal, supplied unpainted. Look to our modelling section of this site for shield transfers to fit these models. Also look to the same section for our wire spears to arm these figures with.